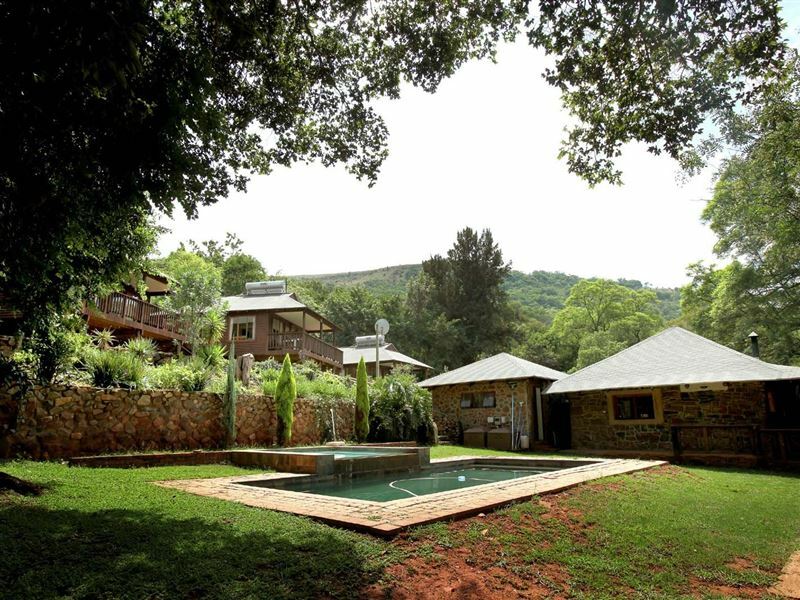 Zongororo Guest Farm is a pet-friendly, 283-hectare guest farm located a few kilometres outside Waterval Boven in South Africas Mpumalanga province. The name Zongororo means "millipede" in Shona. The connection between the millipede and our name is the train that runs through our farm, which we refer to as the steel Zongororo. 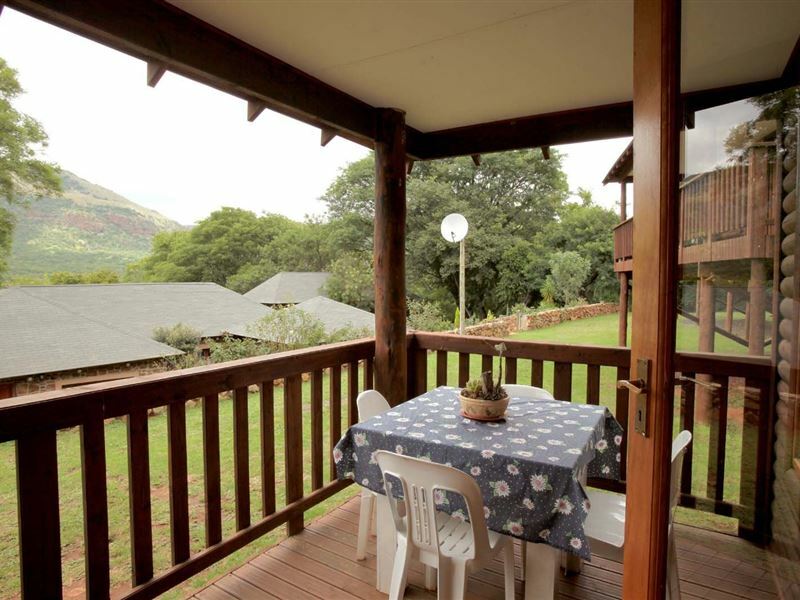 We offer visitors top-class self-catering units in an area rich in historical South African landmarks and activities for both young and old.<br /><br />Accommodation is offered in three self-catering units, each with its own identity, theme and stunning view, as well as a group unit which sleeps up to 12 people. Jan Winter Vogel Unit is named after Jan Wintervogel, the last remaining steam locomotive of the Nederlandsche Zuid-Afrikaansche Spoorweg Maatschappij. The Shack is the name of our log home and was inspired after reading William P Youngs novel of the same name. He tells the story of a man who met God in person in a shack, and describes the awe-inspiring events that follow. In The Shack, please expect the unexpected. You will find colourful traditional dcor, in line with our South African culture, complete with tin cups and plates in the kitchen, and on the coffee table, of course, a copy of The Shack by William P Young.<br /><br />Die Herberg is a comfortable log house, situated at the foot of the mountains overlooking the peaceful valley, with an open-plan living space comprising a lounge, dining room and kitchen. The home is furnished with beautiful antiques handed down over generations or lovingly collected by the owners over many years. Soft furnishings in harmonious shades of reds and beiges of different textures create a cosy atmosphere. 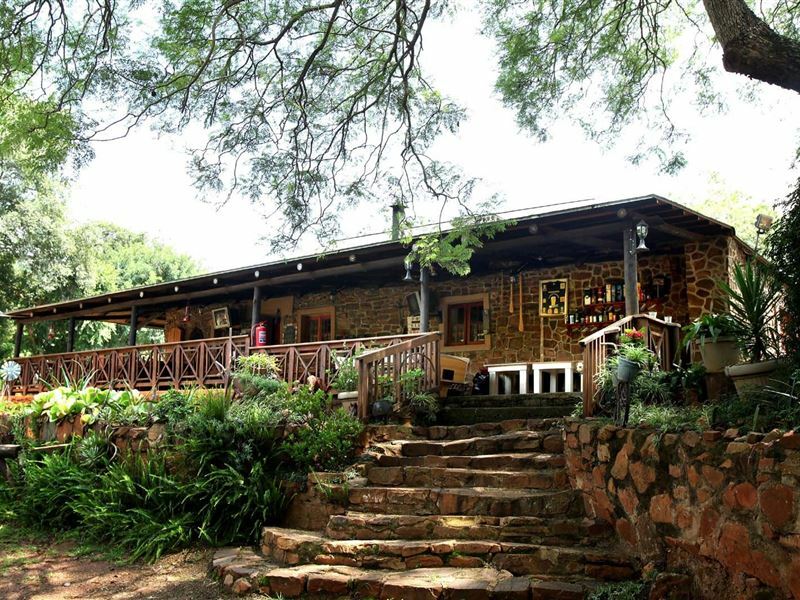 Visible through the window, are magnificent old jacaranda trees, towering over the main building of the lodge.<br /><br />Koinonia is a six-room unit that embraces the spirit of fellowship and community. This wooden log house sleeps up to 12 people and is perfect for hikers and team-building weekends. In the dictionary, the word "Koinonia" means Christian fellowship or communion, with God or, more commonly, with fellow Christians.<br /><br />An excellent conference facility is also available at Zongororo Guest Farm and is ideal for big conferences, functions, weddings, lectures and team-building. Experience unforgettable conferencing with beautiful natural surroundings. We also offer an on-site bar, The Trading Room, and we are fully licensed. Come and enjoy a cool glass of wine on our traditional farmhouse patio or relax in the billiards room or swimming pool, with a built-in Jacuzzi. 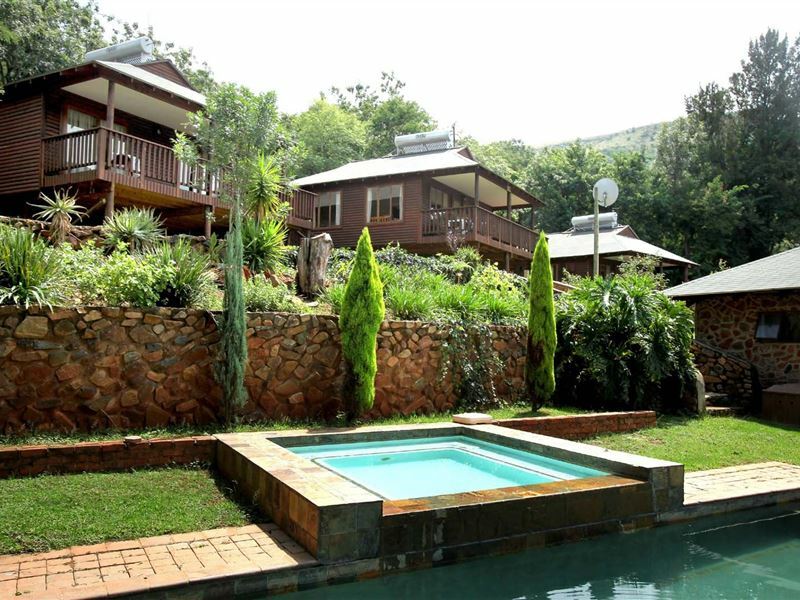 "We really enjoyed our stay and Ronel went out of her way to wait for us as we arrived very late." 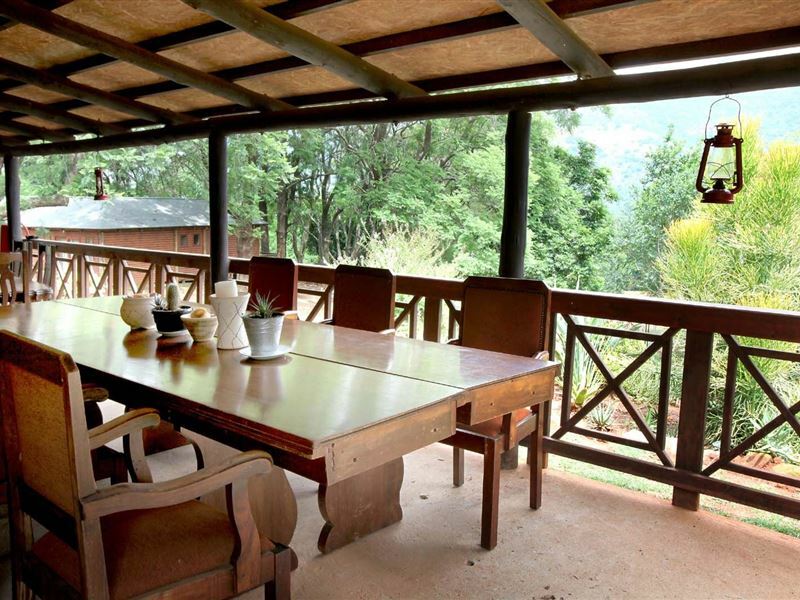 "Beautiful place in the mountains, Elsa and Hennie made us feel at home. Staff so friendly and amazing service. Our horses were treated as royalty! Can&apos;t wait for the horse-trails.Michelle and Louis"
"What a fabulous place! Walking around on the farm is excellent, with horses, donkeys, ducks, chickens, pigs and even rabbits! The hospitality surpassed our expectations with home baked bread and jam. The dogs thought they were in heaven and Droopy (the owners jack Russell) made an great tour guide showing us the fishing dams. Thank you for a wonderful weekend away from the hustle and bustle of town." "We had a lovely stay at the farm Elsa and George were very friendly and helpful. We will definitely come back."